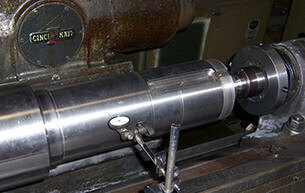 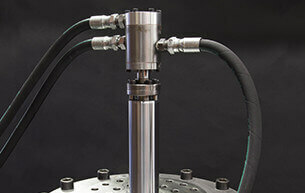 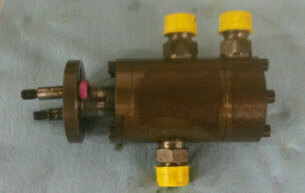 Fan Services rebuilds hydraulic cylinders manufactured by Howden, Novenco, Cemax, and Flakt, etc. 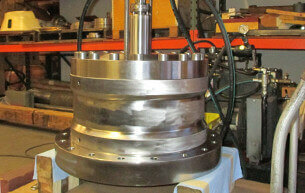 After disassembly, parts are inspected for wear, and all seals, scraper rings, and glyd rings are replaced. 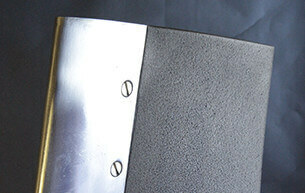 Wearing surfaces are restored to like-new condition. 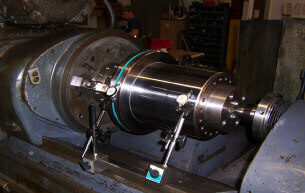 Our machinists take pride in their ability to provide high-quality repairs that meet or exceed OEM standards. 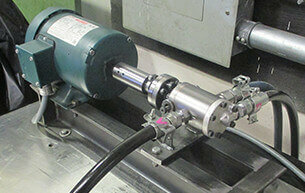 Our shop has several hydraulic test stands where 5 ton to 80 ton cylinders are tested for a minimum of eight hours. 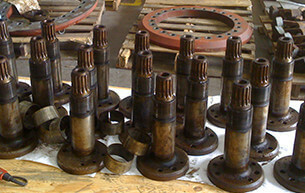 After we receive your rotating oil seal, we disassemble and inspect all parts for wear, then replace or repair the shaft to like-new condition. 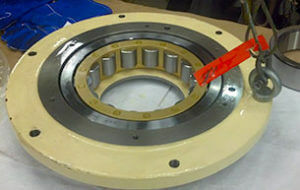 Bearings and shaft seals are replaced with OEM specified parts. 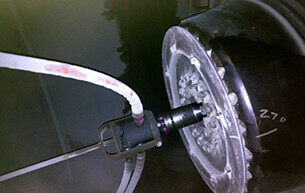 Our skilled mechanics perform operational testing for leaks and excessive bearing temperature. 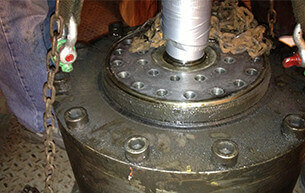 In addition to repair services, we also stock a variety of refurbished rotating oil seals. 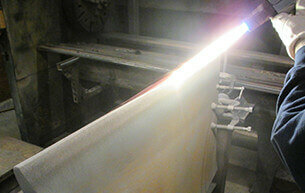 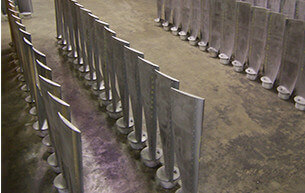 Fan Services has a repair solution for your blades that often is an enhancement over the original OEM design. 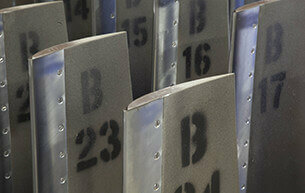 Whether performing weld repair on cast steel fan blades, fabricating replacement wearing noses, or applying erosion resistant thermal spray, you’ll find that our repair costs are a fraction of the OEM’s. 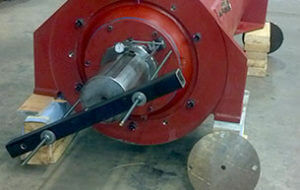 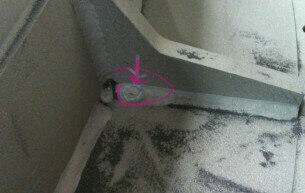 All blades are moment weighed, balanced in sets, marked, and charted for proper installation. 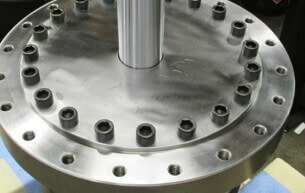 Contact us for a detailed proposal and quotation. 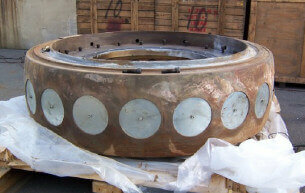 Send us your used B-hub for refurbishment. 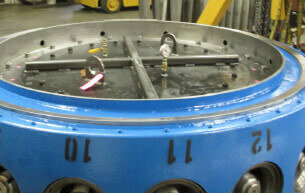 Our repair program includes complete disassembly, inspection, fabrication of replacement parts, assembly, and testing. 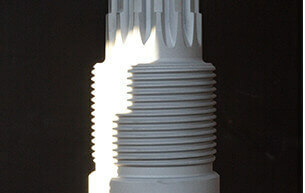 We also include packaging for long-term storage. 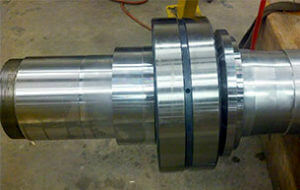 To expedite overhauls, we’ll rebuild your main bearing assembly in our shop either before or during your outage. 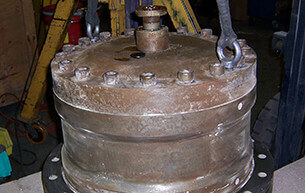 Don’t waste profits by throwing out parts that we can economically repair to like new condition. Consider Fan Services for refurbishment of your blade shafts, regulating arms, guide rings, and regulating discs.